JOYCE MEYER is a #1 New York Times bestselling author and one of the world's leading practical Bible teachers. Her broadcast, Enjoying Everyday Life, airs daily on hundreds of television networks and radio stations worldwide. Joyce has written nearly 100 inspirational books. Bestsellers include Power Thoughts; The Confident Woman; Look Great, Feel Great; Starting Your Day Right; Ending Your Day Right; Approval Addiction; How to Hear from God; Beauty for Ashes; and Battlefield of the Mind. Joyce holds conferences throughout the year, speaking to thousands around the world. She lives in St. Louis, Missouri. 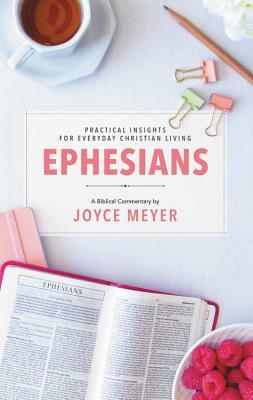 Joyce's new biblical commentary will afford a reservoir of wisdom . . . .